Las Vegas, NV - St. Gregory of Constantinople said that the preistly service is a science above sciences and an art beyond arts. The goal and meaning of its existence is to see, hear, feel, rest, progess, ripen, and to know all beings, to accept and to offer the message of life, to become a priest of creation. To serve the service of sabornost with all of nature, in the all general Liturgy, with the Hierarch, Him "Who is the Offerer and the Offered, who accepts and distributes" for the salvation of the entire world. 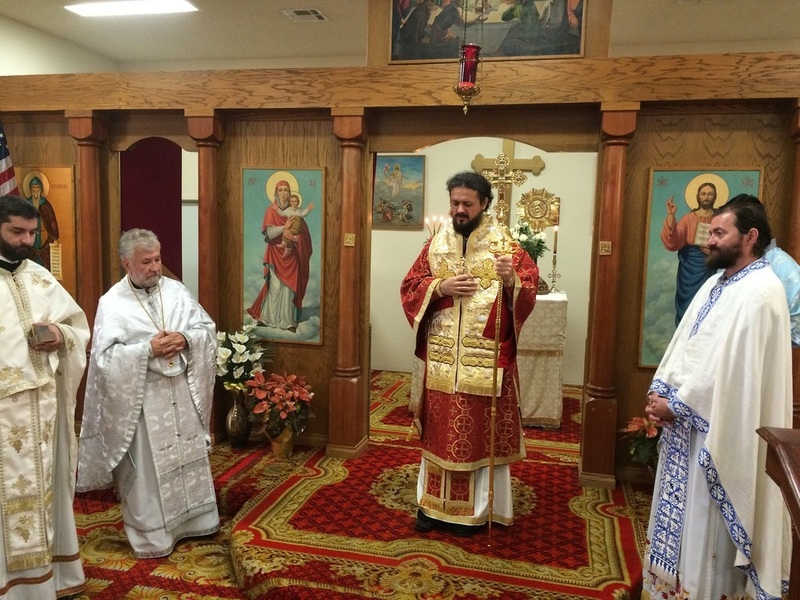 On Sunday, November 8, 2015, on the feast day of St. Demetrius the Great Martyr of Thessalonica, the St. Symeon the Myrhh-flowing parish in Las Vega, Nevada received a new priest. 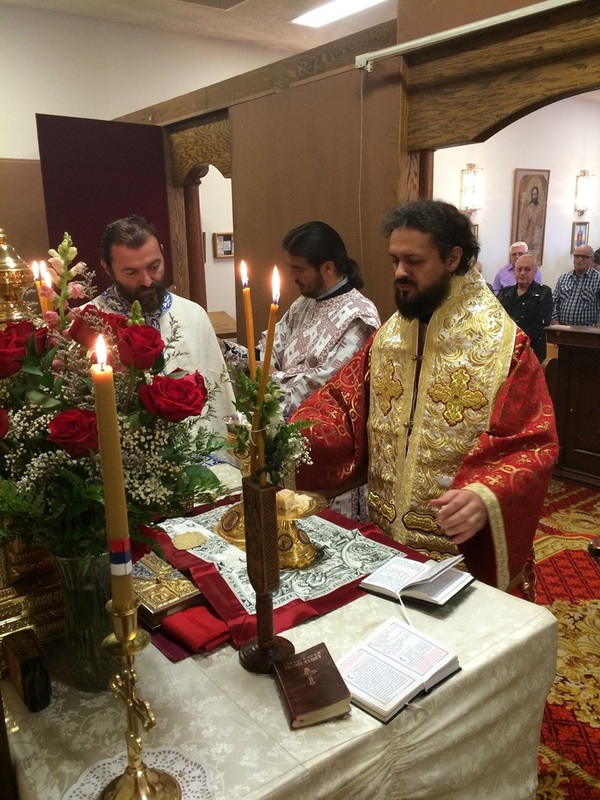 The Divine Liturgy was officiated by His Grace Bishop Maxim of Western America with the concelebration of Abbot Sava, of the Tvrdos Monastery, V. Rev. Stavrophor Uros Todorovic, Fr. Milan Unkovic, Deacon Ozren Torodrovic and Deacon Zoran Aleksic. The solemn event and spiritual joy began on Saturday when the distinguished guests arrived at Vespers. Following the service an agape meal was served in the church hall. 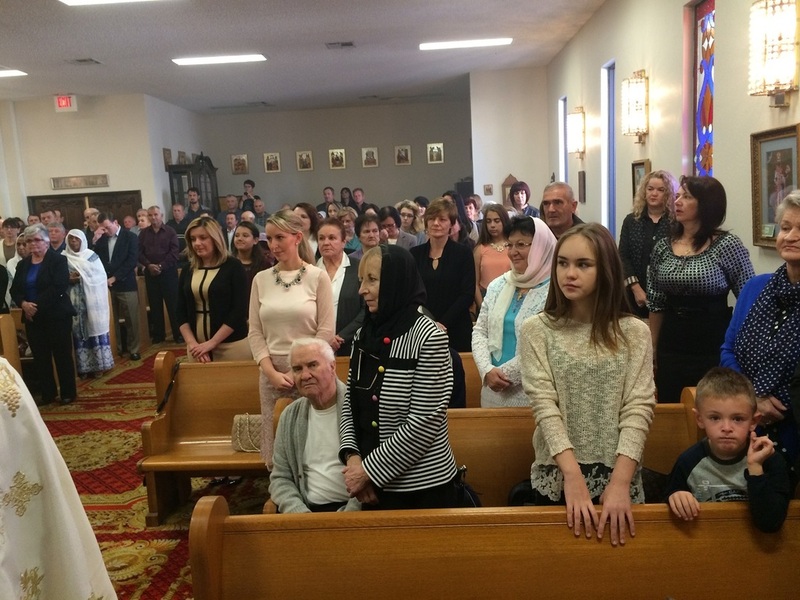 The Serbian parish in Las Vegas does not have a long history and is one of the youngest parishes in the Western American Diocese. The parish church which is in construction is already one of the most beautiful structures in the area and it is clear that it will look magnificent once its finally completed. In that holy church the new priest, Fr. Milan Unkovic, will serve the Liturgy "of this and the other world". Bishop Maxim thanked Protopresbyter-Stavrophor, Fr. Uros, for his many years of service and congratulated him on his successes, above all for his endeavors in constructing the church. To the faithful he expressed his joy, that the new priest be unto spiritual joy and to their salvation. To Fr. 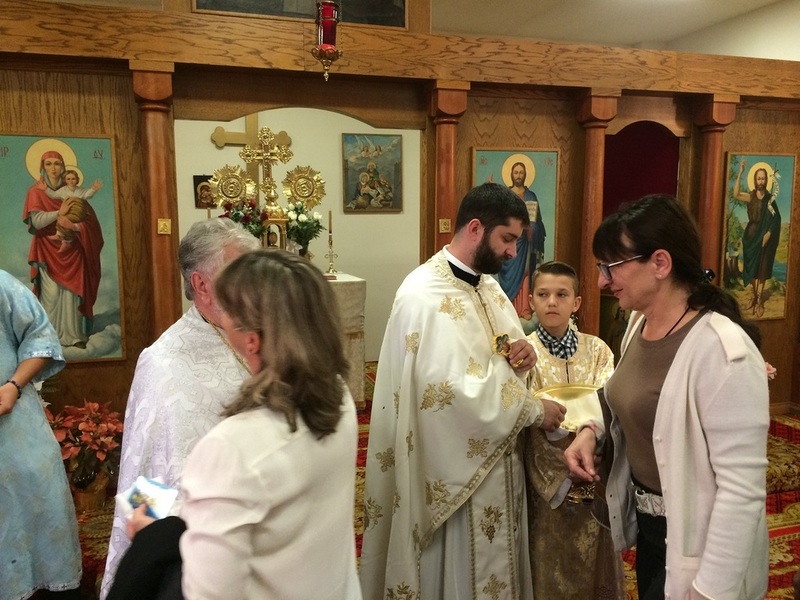 Milan Unkovic, who arrived at this parish after serving the Portland parish, he wished that the grace of the church's paternity he transfer not only to the current but also future members of the Church. All the parishioners anxiously await the completion of the church and that soon the consecration of the completed and beautified church be celebrated. May the merciful Lord grant to all our faithful in Las Vegas love, zeal, readiness for sacrifice, that they continue to work and - as much as they can - contribute to the completion of the church.